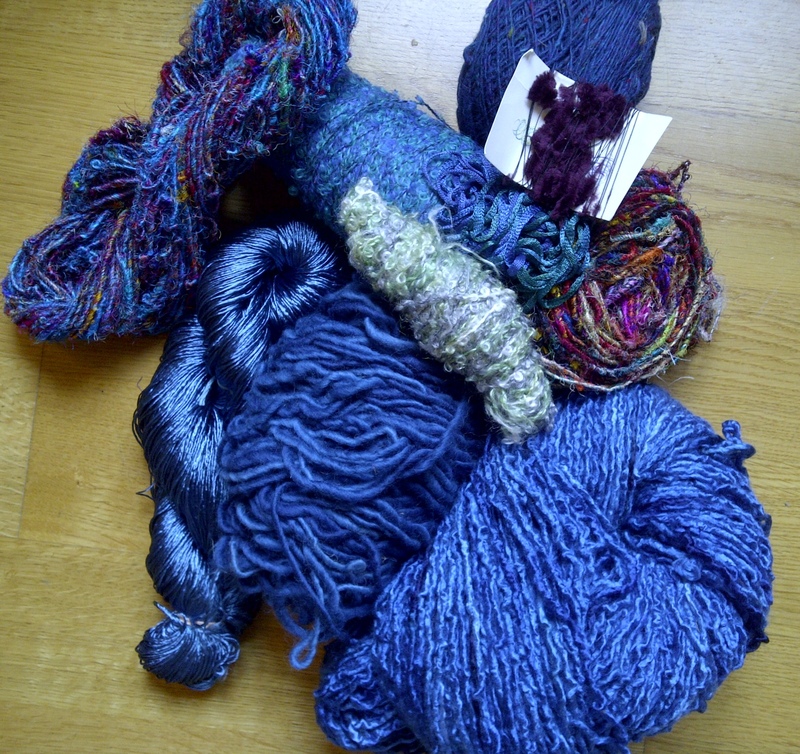 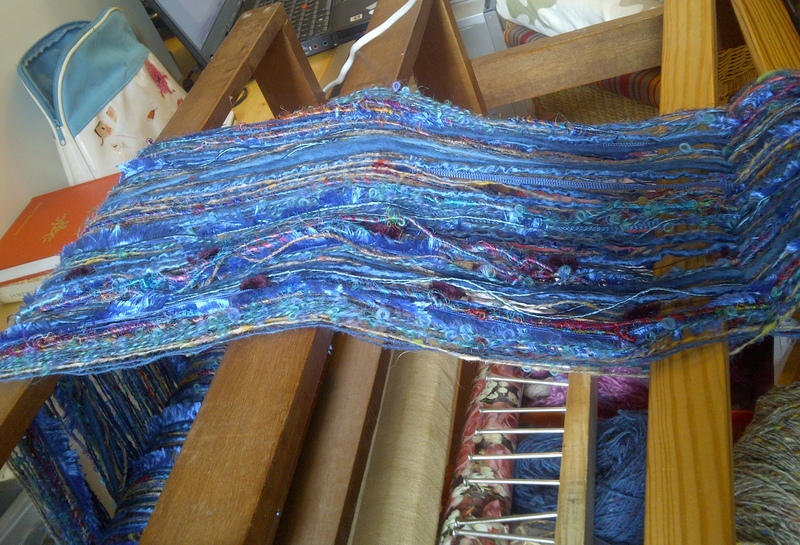 Eh, no – I didn’t do any “housework” really, but I did make a carrot cake that turned out rather delicious, I finished one warp, finished beading another scarf and started another… this one has to be called “The big blue” there are no other words for it! 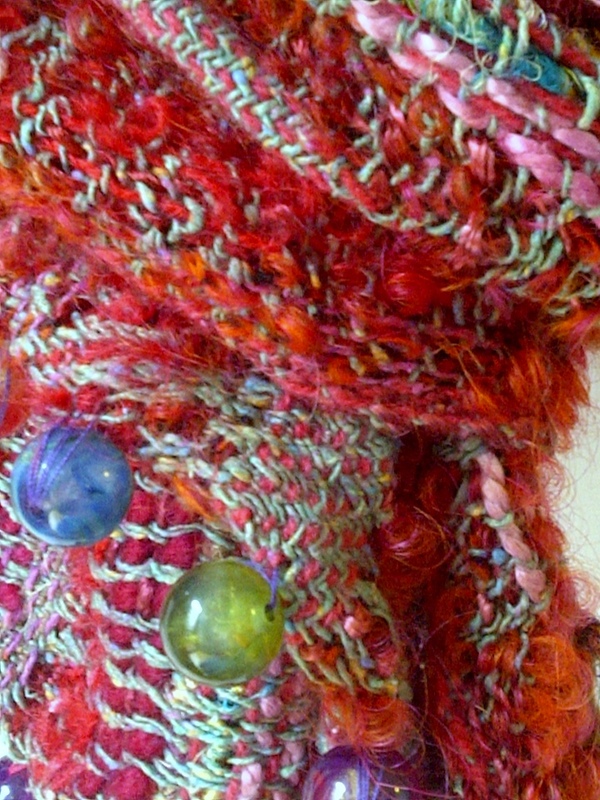 And I finished hemming and beading this one – Which was a funny experience as Hannah kept telling me she wanted to eat the beads “Me want eat them” (you have to think of Cookie Monster when you read that line) despite the fact that I told her REPEATEDLY that they weren’t sweets and you couldn’t eat them! 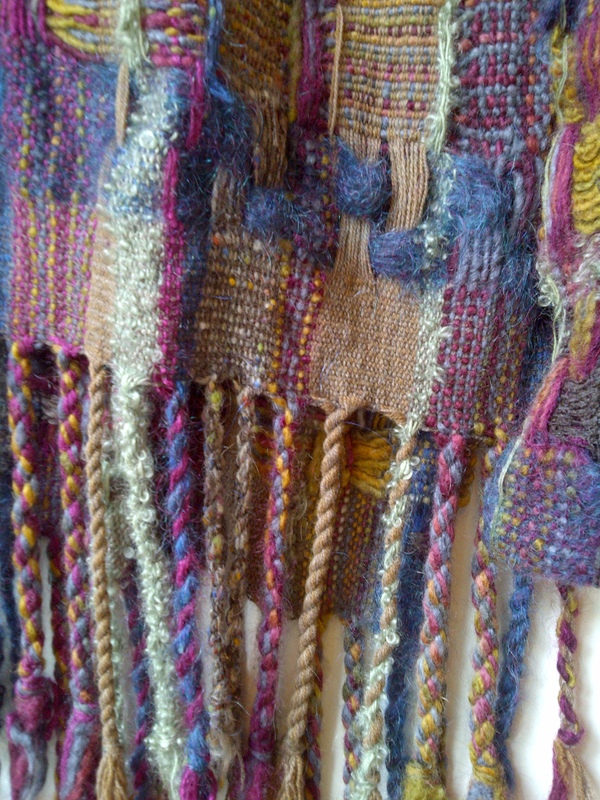 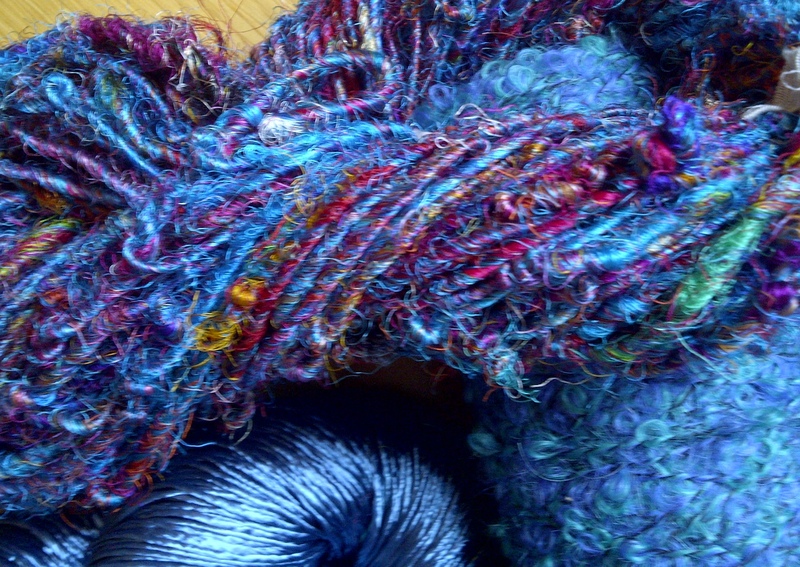 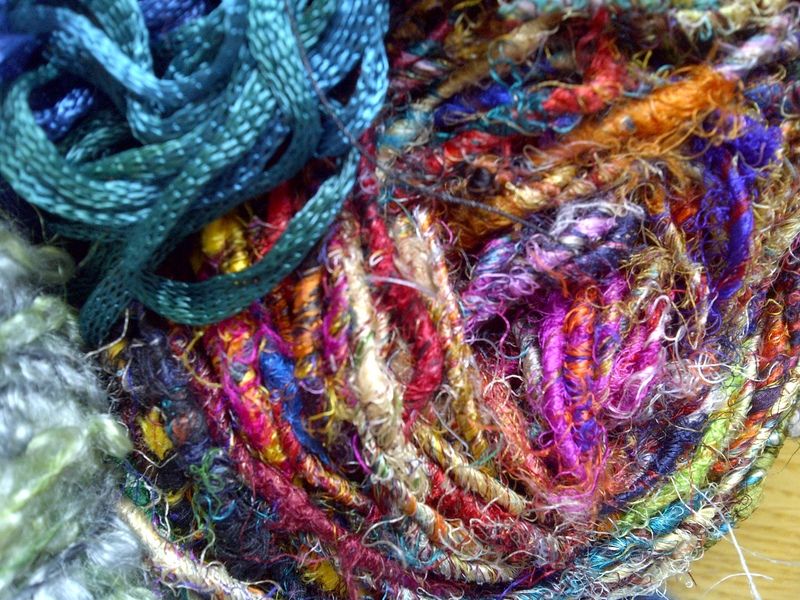 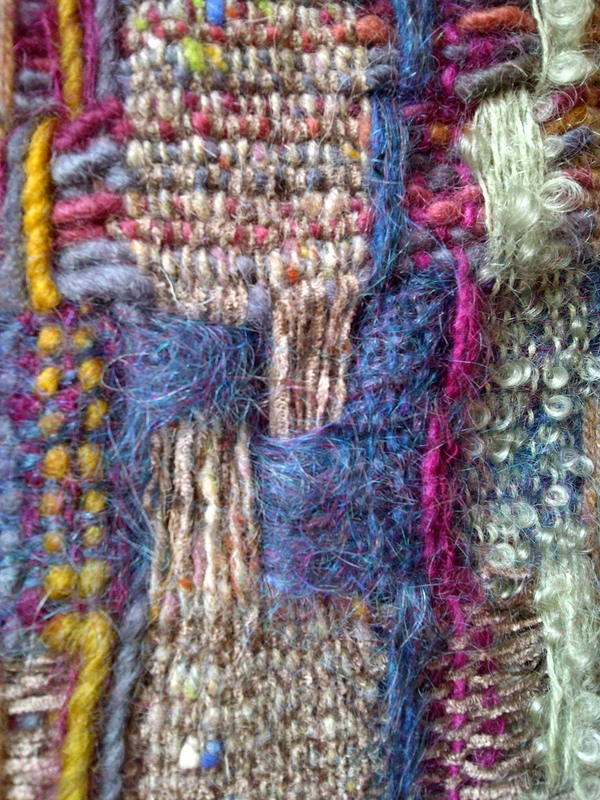 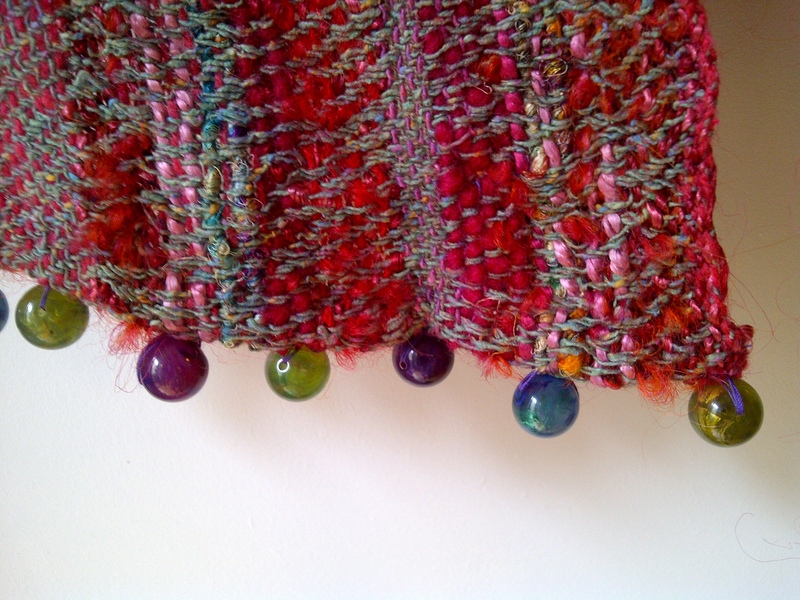 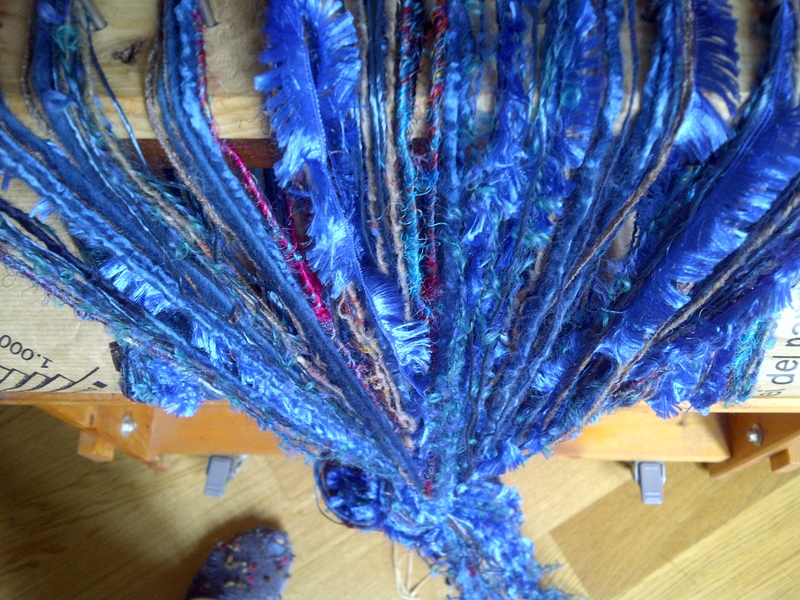 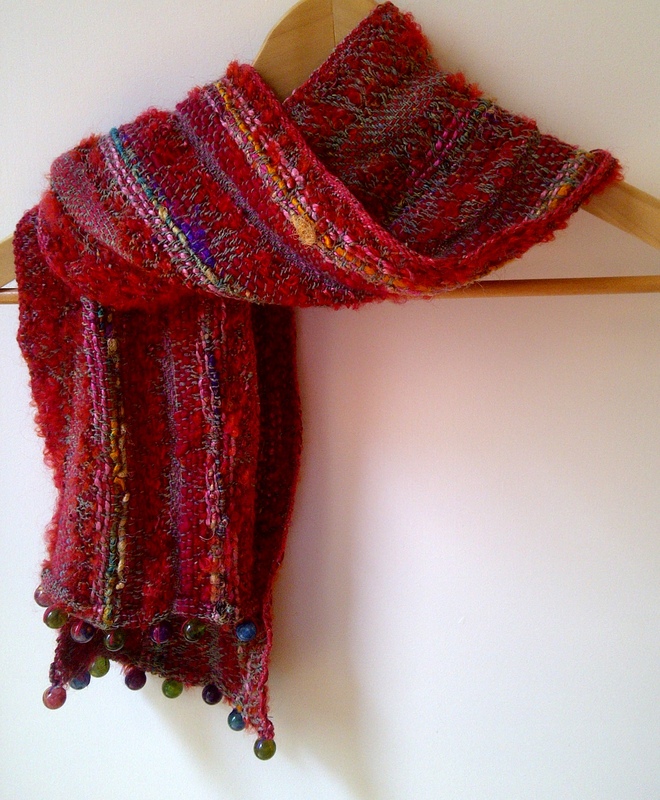 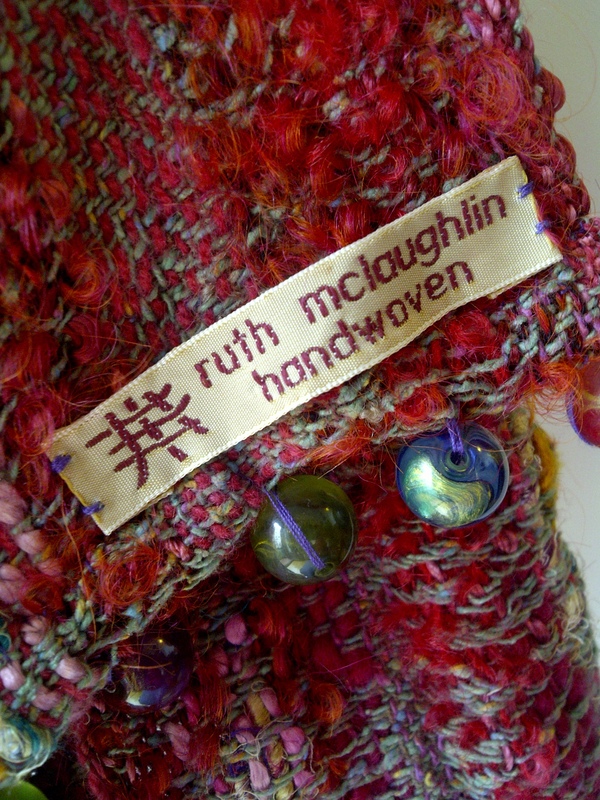 it’s fluffy, colourful and soft – Sari silk, mohair boucle hand-dyed wool in the warp, with single twisted raw silk in the weft.